Approximately 8% discount off room rates if reservation is made directly with the Guest House operator. Call toll free 1 888 804 8181 or email linda@abagales.com. Online third party reservations (Expedia etc.) all add commissions. 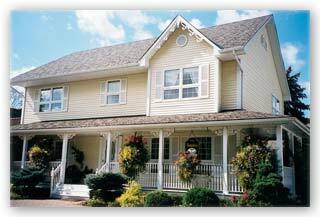 A Charming Guest House located in the heart of historic Niagara-on-the-Lake's Old Town. Quiet and romantic for honeymoons and couples' getaways, live theatre enthusiasts, Wine connoisseurs (31+ cottage and full production wineries) craft breweries and distillers (Wayne Gretzky's Winery and Distillery opening 2017), biking, walking and hiking and endlessly more great activities!